Last week we talked about using your marketing as a tool to overcoming brand defection, which is one of the biggest obstacles to creating lifelong dealership customers. But there's another thing putting a dent in your customer retention rates. This is another problem that can be solved when dealers commit to disrupting the usual Sales and Service cycles. After basking in the afterglow of purchasing a shiny new vehicle, it is common for customers to defect to a different dealership between the sale and the first mileage interval service. Many dealerships have processes to help encourage customers to come in for their first maintenance service. They may set the customer’s first appointment during the F&I process. They also may set up triggers in their Customer Relationship Management (CRM) system to send marketing reminders when the first interval service is due. Those are great first steps to getting customers to continue their relationship with your dealership after the sale. They’re also proven tactics to attract them to your Service Department. Yet, even when customers choose your Service Department for maintenance and repairs, you still can expect some defections once the vehicle warranty expires. Again, dealerships have implemented processes to help combat this scenario. For example, some may use targeted marketing to reach customers out of warranty. They’ll send Service specials by direct mail or email to lure them back in for maintenance or repairs. All of these are good, effective options. But you wouldn't even have to do that if you could keep the customer’s vehicle in warranty longer. You don't have to push expensive, confusing extended warranty packages that many customers decline when offered in F&I or in Service. A better option is to move customers from their current vehicle into a newer one, restarting the warranty period. One of the best times to have the conversation with customers about moving them into a new vehicle – ideally a similar model at a similar monthly payment – is while they’re at the dealership for service work. It’s that perfect vehicle sales offer presented at the right time that can help your dealership avoid Service defection. Instead, you’ll increase brand loyalty, start a new warranty period with the new car, and increase customer satisfaction with your Service Department and the dealership. Are you ready to cause a disruption? 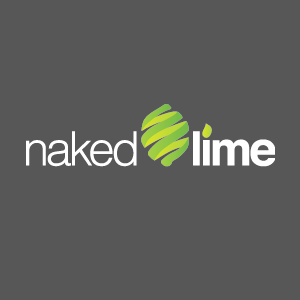 Call 855.NKD.LIME or email info@nakedlime.com to learn more about how to keep your customers returning to your dealership. And come back for Part 3!